Gorman (39-4) turned back a determined and aggressive Reno (22-4) squad to claim its second state championship in three years with a 25-22, 25-13, 25-16 win. RENO — After each huddle during Saturday’s 4A state championship match against Reno, Bishop Gorman broke the huddle with the same cheer it’s used all season, one that has become the team motto though a dominant season in which the Gaels never lost a set to a Nevada team. Saturday, as they have all season, the Gaels did. 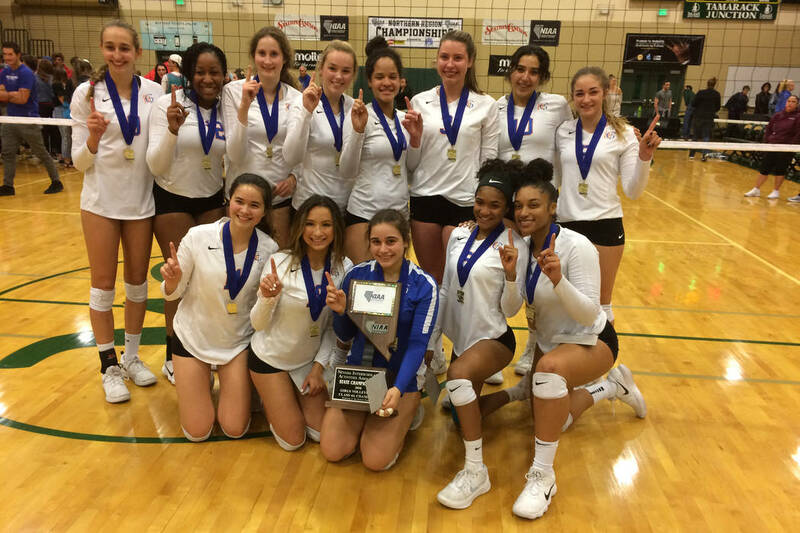 Gorman turned back a determined and aggressive Reno (22-4) squad to claim its second state championship in three years with a 25-22, 25-13, 25-16 win at Bishop Manogue. The Gaels (39-4) have the motto printed on the chalkboard in their locker room, and on their team shirts. Nunley, who was an assistant coach at Texas Tech for four years and recently coached at La Cueva High School in Albuquerque, N.M., said the message was meant to help the Gaels understand that just because they’d been to the state finals the past two years, and won the championship in 2016, there were no guarantees they would get back and do it again. “It’s not always the team with the best athletes that wins, it’s the team that earns it,” Nunley said. With such depth of talent that they don’t drop off even when their top hitters rotate to the back row, the Gaels were relentless on the attack against Reno (22-4). Tommi Stockham led the team with 11 kills and also served three aces, and Anjelina Starck, who hits while in the front row and sets from the back, had 10 kills and 24 assists. Caroline Edgeworth added 15 assists, and Natalie Mavroidis led the team with 12 digs. Junior Alex Washington was a freshman on the Gaels first state championship team in 2016, but with a broken pinkie, was left to watch a live stream of the championship match. She was then a part of the team that lost last year’s state final. Stockham said this championship means more to her than the team’s first.